About Horses Healing Hearts | Horses Healing Hearts, Inc. 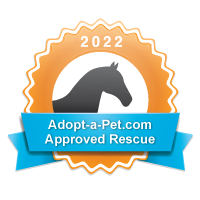 Located in Pleasanton, CA., is the 3H rescue, rehabilitation, and education facility for horses. To date, 3H has offered assistance to over 60 horses including: Liberty, Buddy, Spirit, Zorro, Norman, Mustang Sally, Ferrari, Max, Major, Penny, Blackjack, Jax, Sheyenne, Luna, Cody, Canela, Dixie, Shelby, Bien Amour, Hope, Vegas, Bonita, Baby, Rockstar, Diamond, Romeo, Indy, Zarif, Rose, Velvet, Sapphire, Mystic, Compadre, Angel, Bella, Gus, Grady and Zeus/Taco. Each horses holds a unique story to share and educate. Like humans, horses too have special needs, special situations and circumstances. 3H also offers temporary assistance for horse owners that may simply need to access short-term financial help in order to keep their beloved equine(s). 3H understands that no one is immune to financial hardship and/or life threatening circumstances. Perhaps a little financial help keeps the horse in his beloved home, or perhaps unforeseen circumstances prevent you from continuing ownership. On a case-by -case basis 3H will review the situation and provide assistance in the most efficient and timely manner. In the near future, with your donations, programs will be designed specifically for kids. Girl Scouts, Boy Scouts, Brownies, and Foster Kids can all take part in an opportunity to get hands on with horses. The youth-at-risk population is encouraged to take part as community service hours mandated by the court system can also be fulfilled at the ranch. In the near future, 3H will be featuring scholarships opportunities. Melissa Austin is a certified Equine Guided Educator that offers sessions t the public where you have an opportunity to interact and communicate with horses from an unmounted perspective (riding skills not necessary). EGE will help you gain clarity to authentically listen to and understand your intuition and energy. You will get feedback from the horses which will help you to process valuable life lessons and guide you toward manifesting all that you desire in your life. This type of feedback will enhance your emotional intelligence. You will become more focused on your visions and values and this will provide a new solid foundation to better present yourself in your daily life. These customized programs work with corporate development, youth empowerment classes, family workshops, and sessions with mental health practitioners utilizing the methods of EGE to reach clients. The benefits of Horses Healing Hearts, Inc. are life changing. “See yourself through the eyes of the horse”. Individuals, groups and families have agreed this type of experiential therapy can help you gain clarity, become un-stuck, and live authentically. Results empower you to lead a more fulfilling life. We call it, The Equi-Spirit Experience. These programs help fund the ongoing work of 3H. For more information, please Email Us or visit us at our sister organization Pregnant Mare Rescue. please list your top 2 times in 1 hr increments. Session prices vary – please call to book yours today. I will confirm your appointment time.